Wedding dresses are sourced from various suppliers, so you never know what you might find! I always aim to have a variety of fabrics, styles and designers for you to choose from, all at a fraction of their original price. 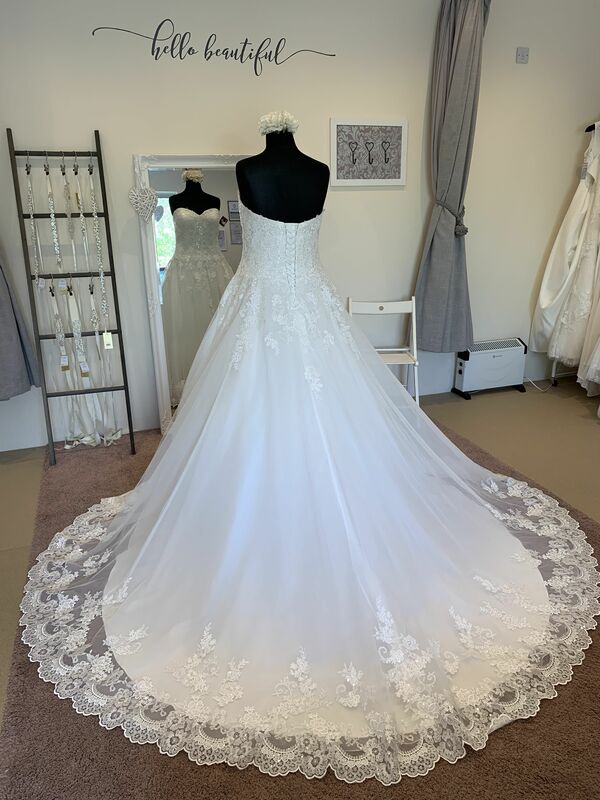 All bridal gowns will either be new or ex sample genuine designer dresses, so never second hand or pre-loved and sizes range from 8 to 24. A reduced price however does not mean compromise on quality. 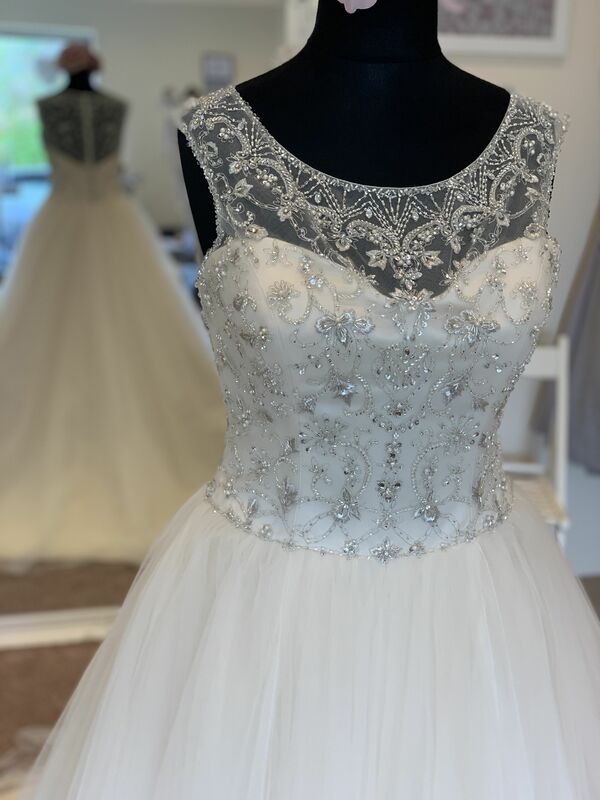 You’ll find beautiful wedding dresses by Romantica, Opulence, and Pure Bridal, but you may also spot other well known designers on the rails! 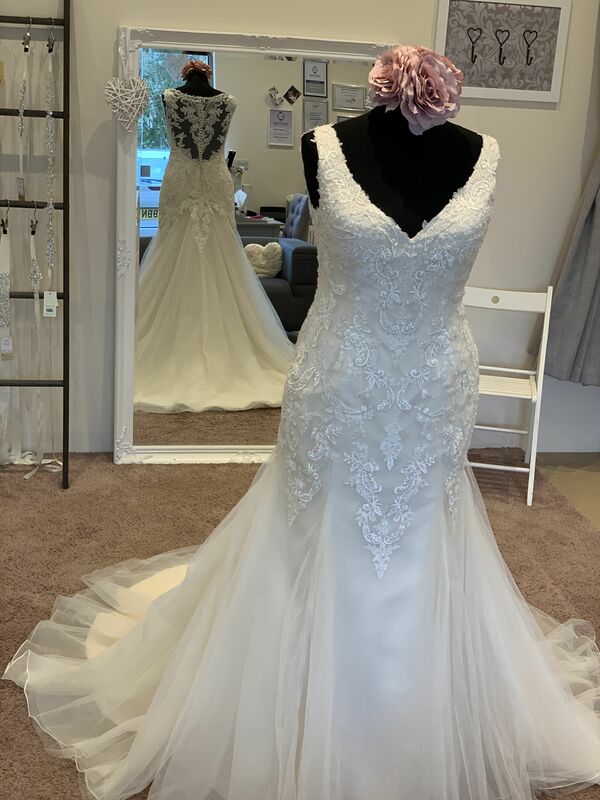 Stock changes frequently as dresses are sold and new ones come in so it’s impossible to photograph them all, but you’ll find some examples below. 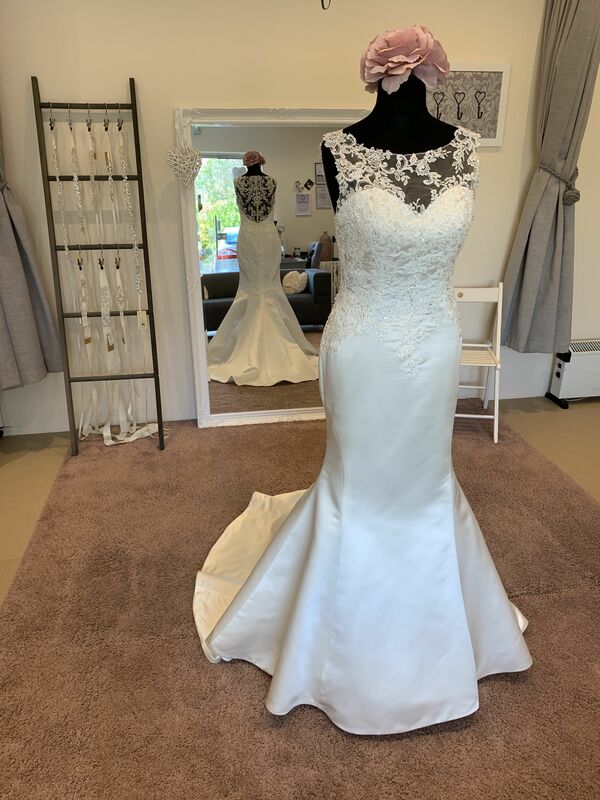 Click through to Townhouse Bridal’s Pinterest board for more!